Some of you may know that in a couple of weeks I am setting off to my lovely Welsh uni and, equally excitingly, moving into my new room in the halls of residence. 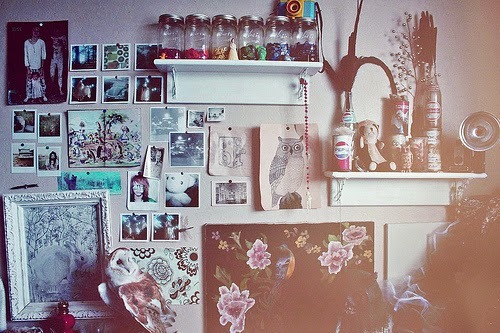 Therefore I have put together a medley of uni room inspiration pictures as I am rather excited to decorate my room and, once it is all set up, I will definitely be posting a room tour. 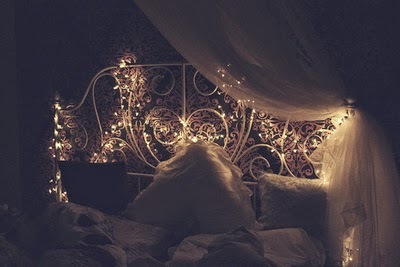 I really love the cosiness of this room. I will definitely be putting up some fairly lights like these. 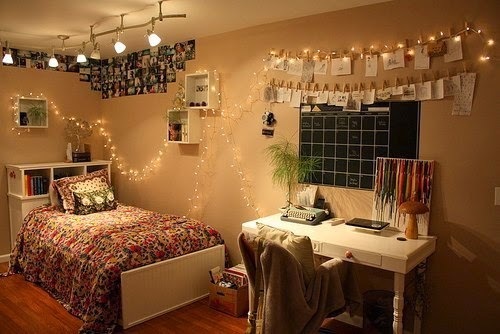 And I like how they have hung little polaroid shaped notes/pictures from the lights. 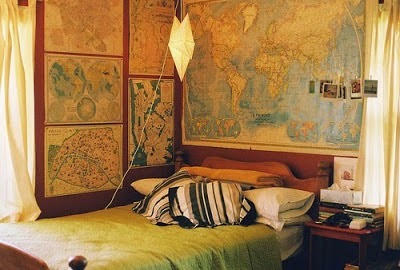 This seems like an achievable look for my new room. I have a bit of a thing for maps. Especially old maps. I don't know why - they just look so good when they are hung up on a wall or pinned on a notice board. I have been thinking of getting a scratch map where it's like a scratch card but you scratch off the countries you have visited. I love how interesting everything looks in this picture. All the soft tones look lovely together. I do really like this - it's all a bit fairy princess-like. But I'm not sure how compatible yards of curtaining hanging from the ceiling would be with the health and safety regulations. I think this is maybe a bit more realistic when it comes to student accommodation. 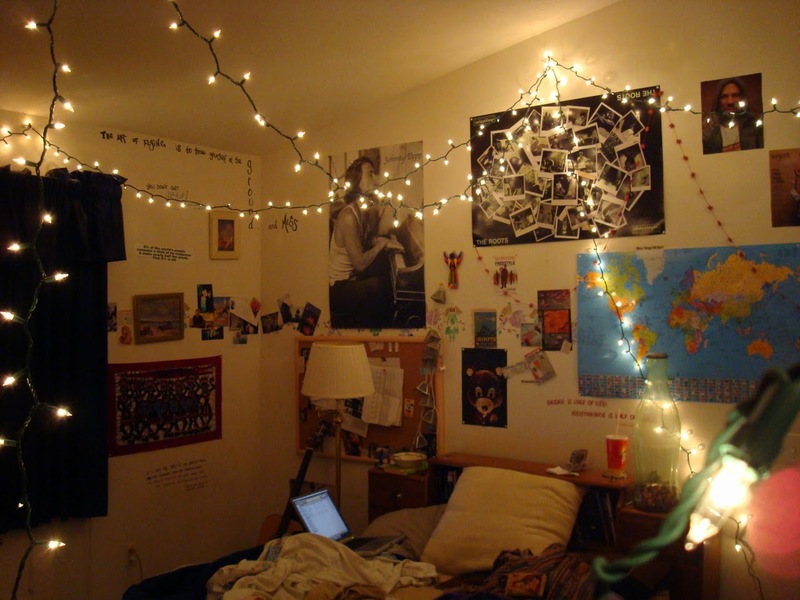 I like the fairy lights and all the pictures which make it look a little less dull. 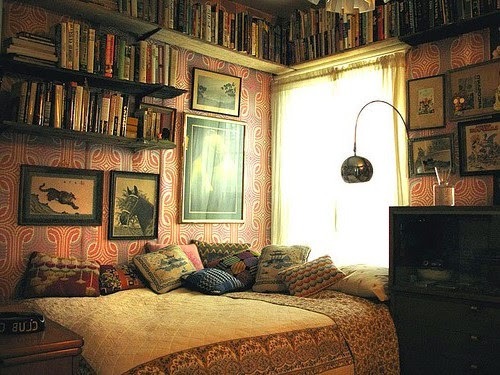 Finally, my dream room. The books, the soft tones which are the same colour as aged paper, the cushions. Love it. I hope you enjoyed this post and I would love to hear which is your favourite look out of the ones above. Disclaimer: I have linked all the pictures to their source that I have the links for. I do not own any of these pictures and found them on Tumblr. If you recognise a picture, please let me know then I will give credit to the owner of the picture.